My twin sister just came back from Paris with some brand new and very French Repetto pointy-toe ballet slippers that are now pretty much glued to her feet. 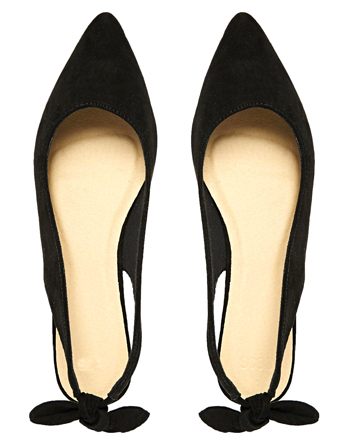 Now I want to go Gallic, too, with these $25 summer-ready Asos slingbacks. How cute are the bow-ties?